Daily stress, tension and physical exertion can result in a poor night's sleep which can negatively affect your health and quality of life. Our unique blend of nutrients known for their relaxation properties works synergistically to promote a good night's rest. 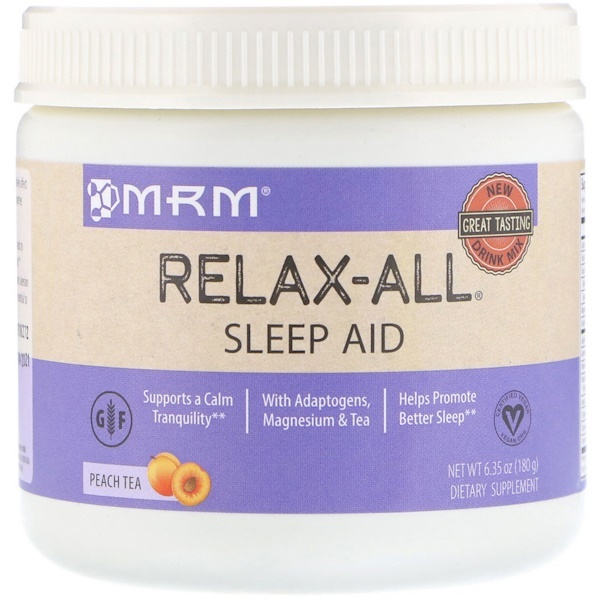 Relax-All Sleep Aid contains potent adaptogens, herbal extracts, minerals, and amino acids to support the mind and body to achieve a balance of muscle relaxation and mental tranquility. Research and centuries of traditional use support the calming effects of ashwagandha, jujube, valerian root, chamomile and lemon balm. 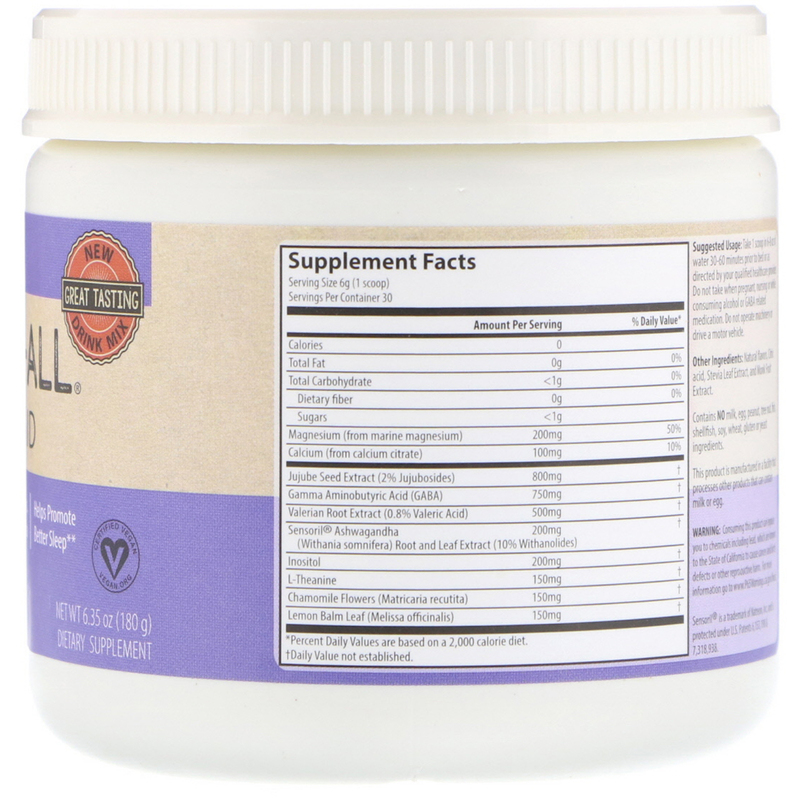 Magnesium and calcium in balanced proportions are essential to support natural muscle relaxation. Take 1 scoop in 6-8 oz of water 30-60 minutes prior to bed or as directed by your qualified healthcare provider. Natural flavors, citric acid, stevia leaf extract, and monk fruit extract. Contains no milk, egg, tree nut, fish, shellfish, soy, wheat, gluten or yeast ingredients. Do not take when pregnant, nursing or while consuming alcohol or GABA medication. Do not operate machinery or drive a motor vehicle. Consuming this product can expose you to chemicals including lead, which are known to the State of California to cause cancer and birth defects or other reproductive harm.